Add styled Blockquote to any page/post/portfolio post. Please follow below steps to use “Blockquote” shortcode. Step 1: Login to WordPress Admin section. Step 2: Add/Edit any page/post/portfolio post. Step 3: Click on “+” button (Add New Element), it will show the popup with all shortcodes. Step 4: Click on Brando tab, it will show all shortcodes of Brando theme. Now click on “Blockquote” shortcode. 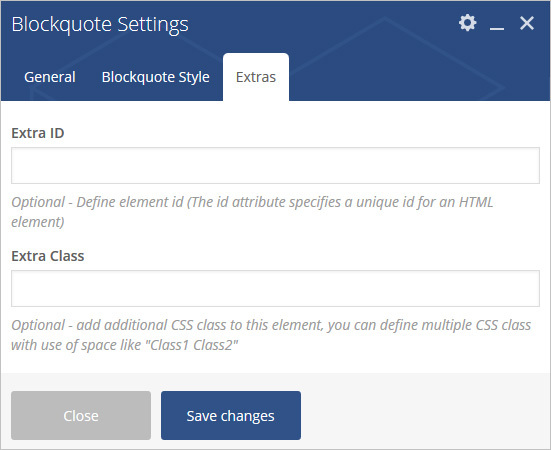 Step 5: Follow below inputs/settings and see “Blockquote” preview in frontend. Content – Add content using HTML editor. Heading Title – Add text for heading title. 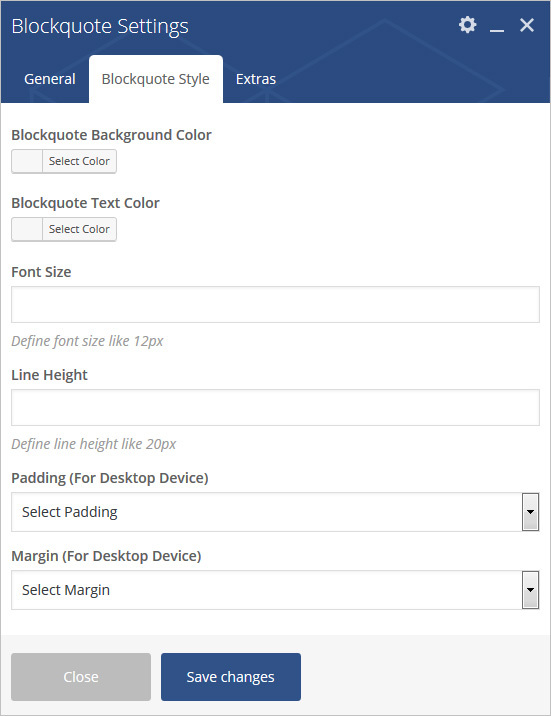 Blockquote Background Color – Set background Color. 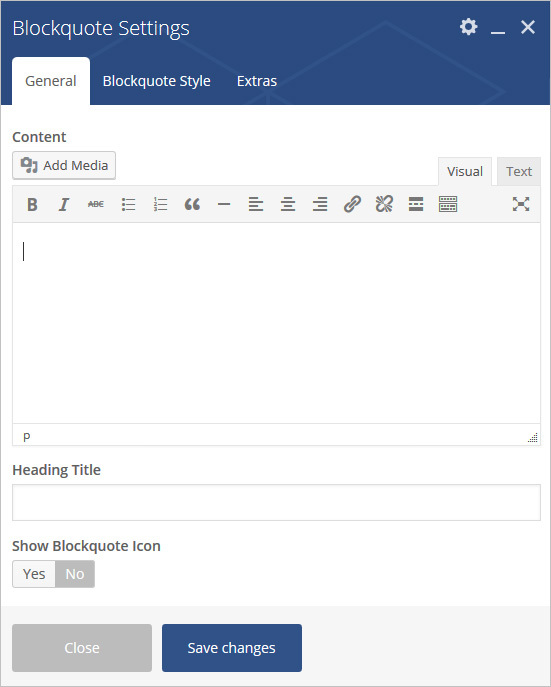 Blockquote Text Color – Set text color. Padding – Apply padding with pre-defined padding classes or specify your custom padding for desktop/tablet/mobile devices. Margin – Apply margin with pre-defined margin classes or specify your custom margin for desktop/tablet /mobile devices.